For all you James Bond fans that just can’t wait for Daniel Craig’s next big screen outing, check out the new trailer for the upcoming BBC mini-series FLEMING: THE MAN WHO WOULD BE BOND. 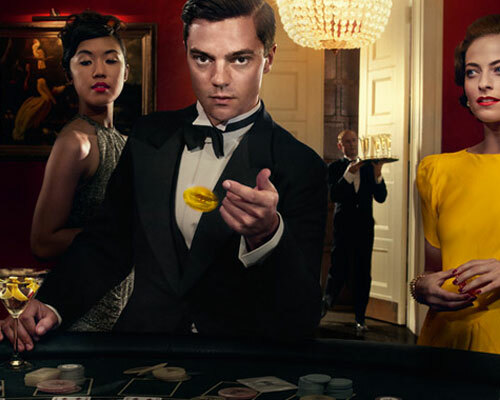 Directed by Mat Whitecross, it stars Dominic Cooper (who was quite excellent in THE DEVIL’S DOUBLE) as legendary 007 writer Ian Fleming, and his real life spy exploits that influenced the Bond novels… well, a fictionalized version anyway. Rupert Evans, Lara Pulver, Camilla Rutherford and Pip Torrens co-star. This isn’t the first time a fictionalized version of Fleming’s life has been put to film. Some may remember the 1990 TV movie THE SECRET LIFE OF IAN FLEMING (aka SPYMAKER) starring Jason Connery (son of Sean) as Fleming, an effort that met with mixed reviews, mostly positive. I’m anxious to see what Cooper can do in the role, and the fact this is a mini-series means the story could be pretty fleshed out. Check out the newest trailer below and tell us what you think in the comments.